In this, my first blog about staff engagement I want to look at the benefits for a company that actively seeks to better engage with its staff. In the second blog I will then discuss ways you can go about achieving a better engagement level with your employees. You can find many slightly differing definitions online when you look this up. Proof that engagement is present when a staff member makes a choice to go that “extra mile” or to put that little bit of extra effort in or use his/her discretion when applying his/her time or effort he/she is happy to do so to the benefit of the organisation or company. absorption (concentration and being engrossed in one’s work). This somewhat simplifies engagement and these metrics take no account of the position the individual holds within the organisation or the context of their work or how both these things fit into or alongside the mission and objectives of the organisation. There have also been many studies about staff engagement, its aims and benefits notably The Macleod Report on employee engagement. In terms of how important staff engagement is this report was actually commission by the then Secretary of State “to take an in depth look at employee engagement and to report on its potential benefits for companies, organisations and individual employees” within businesses in the U.K. I could separate the five or six points I am about to make into many more individually headed smaller paragraphs but in my mind they are all either intertwined, inter-linked with one inevitably leading to the other so I won’t be separating them as distinctly. My first thought and I mention this in my next blog too is to hire on intelligence, enthusiasm and personality not just a good qualifications packed CV. Good quality candidates are far more likely to want to join an organisation if they are interviewed, shown around and meet keen, enthusiastic engaged staff these types of employees. Having potentially spent a lot of time and money hiring an excellent member of staff it is very important that you retain them. It is far easier to retain employees that are immediately engaged within the business than it is to retain disaffected ones, irrespective of salary. Engaged staff take a keener interest in the success of the business and their part in it and are therefore more loyal. Into this mix you need to consider future hires. Retention of staff also links to staff satisfaction. When good staff are surrounded by other good employees who are engaged in the business they are far more likely to be happy and satisfied. In the point above I mentioned loyalty. 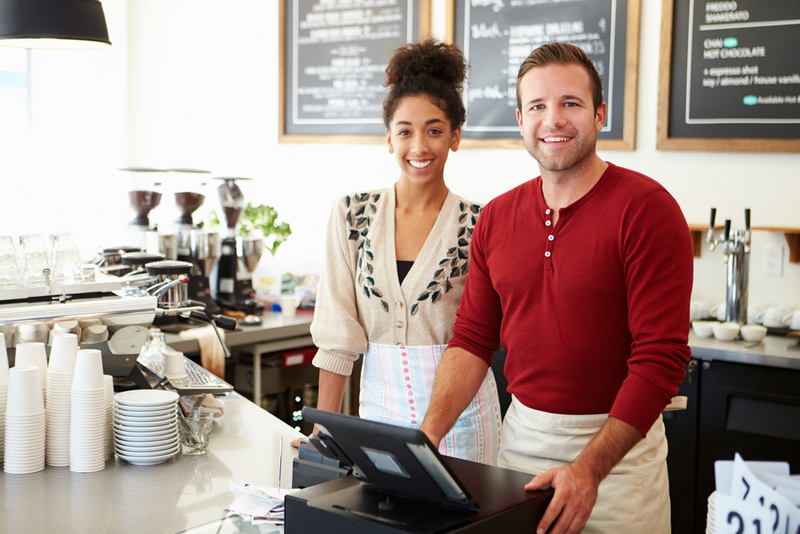 Staff that are satisfied are far more likely to be loyal and committed to the business. You cannot always pick your staff and my experience has taught me that if you come across disaffected or unsatisfied staff then you really quickly need to get to the reason for this and address it. Then if despite all your efforts nothing changes you have to manage staff out of this role, situation or the business. It is very counterproductive to have negative staff not only for productivity but also for the morale of others. Keener, enthusiastic staff are more focused and motivated. There are many studies that show that the more motivated a member of staff becomes, the lower their absence rate. They are more committed to the success of the business and put more effort in or “go that extra mile”. All of the above means that your employees are more productive which in means they are more efficient. If they are more efficient than your business will be more profitable. This could/ should also mean that in turn they are paid more. Staff morale is slightly covered by the paragraph about satisfaction but in my opinion it isn’t entirely the same thing. Fully engaged staff are happier, more productive but their level of morale is higher. This is even more important in difficult times because better morale can mean better teamwork and better recognition of and dealing with difficult situations. This can result in better outcomes or making the best of a bad situation and a less stressful work environment. 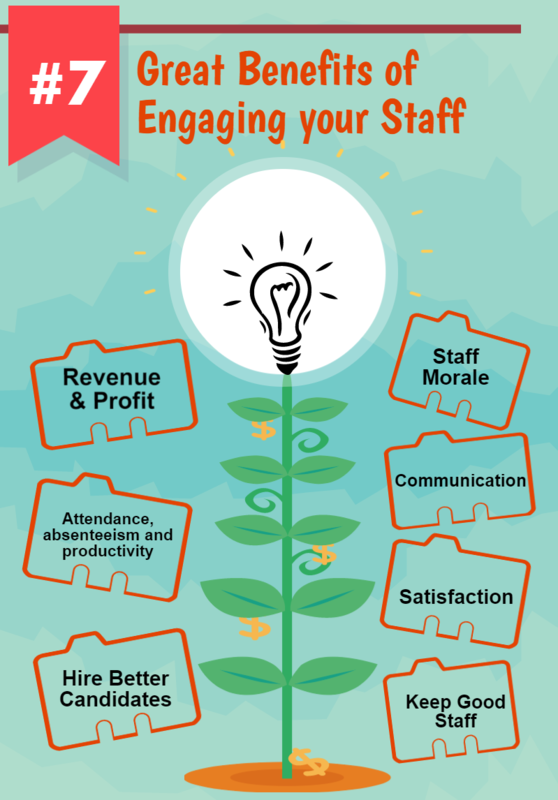 There are many studies that show just how much, in percentage terms, productivity, revenue and profit can increase by engaging with your staff. They are also likely to be more innovative and creative and come up with cost saving suggestions. If you're a fledgling SME or Start Up it’s very easy to set up the systems to ensure your staff start and continue to be better engaged. It’s not so easy however, to afford the best staff at the start but just consider the cost of hiring the wrong staff. If you a growing or expanding business it can be critical to engage with your employees and improve communication. How would I go about this? I would use a low risk cloud based system that promoted communication and staff engagement. Give the staff their own self service portal so they can interact with the organisation in terms of absences, assets, holidays and documents and you can push information to them. Just relevant and key information though. It would be a win win! Start to Engage your Staff with their OWN portal! See how - with a FREE trial now!